NASA said it disapproved of India’s 27 March test of an anti-satellite (A-SAT) missile on account of the space debris it created. New Delhi: NASA’s statement about the Indian A-SAT mission leaving 400 pieces of space debris is “speculative”, a former DRDO chief told ThePrint, adding that a clearer picture will emerge when an agency with a historical lead in tracking space junk weighs in. “There is a variation in the space debris figures being put out every day. It is all speculative at this point, till we get a final word from NORAD,” said Dr V.K. 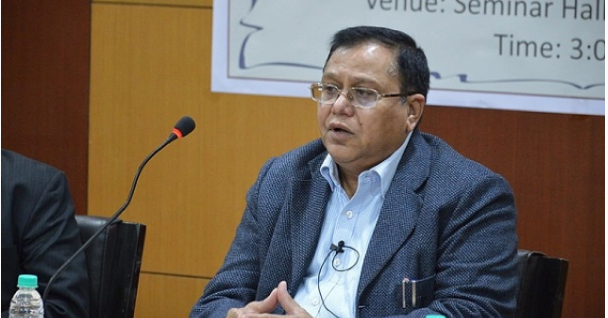 Saraswat, a Niti Aayog member and former Defence Research and Development Organisation (DRDO) chief. The Colorado-based North American Aerospace Defence Command (NORAD) is a joint US-Canadian initiative that provides aerospace warnings, guards air sovereignty and operates a space detection and tracking system (SPADATS), through which it also monitors space debris. It has been monitoring space debris since 1957, when the US’ space race with the erstwhile Soviet Union began with the launch of the latter’s Sputnik satellite. NASA, whose Orbital Debris Program Office was set up in 1979, said Monday that it disapproved of India’s 27 March test of an anti-satellite (A-SAT) missile, spearheaded by the ISRO and DRDO, on account of the debris it had created. “Intentionally creating an orbital debris field is not compatible with human spaceflight,” NASA administrator Jim Bridenstine had said at a townhall with NASA employees. Speaking to ThePrint, Saraswat also referred to former national security adviser (NSA) Shiv Shankar Menon’s recent statement that the DRDO had “made an informal presentation” but never sought “sanctions or approvals” for an A-SAT test during the Manmohan Singh government’s tenure. Menon’s statement, quoted in The Wire, came after Saraswat claimed in the wake of the A-SAT test that DRDO presentations on pursuing the programme were never taken ahead by the Manmohan administration. He said, as was the practice then, he had made a presentation to the then government, including the NSA, about DRDO’s capability to intercept a satellite in the low earth orbit-based through technology developed as part of the ballistic missile defence (BMD) programme. “After the presentation, we had no response from anybody. As was the practice at the time, if there was no response, we didn’t make any written request for seeking permission,” he told ThePrint. “We assumed that, at the moment, there was no such requirement and hence, at that point, we didn’t pursue the work,” he said in a conversation with ThePrint Monday. He added that, in this regard, there was no difference between the comments made by Menon and him. Saraswat also called the A-SAT mission a big feat, saying it marked a huge leap from India’s maiden interceptor ballistic missile test in 2011. Satellites in the low earth orbit, where the target of the 27 March test was located, move at a speed of 7,000-8000 metres per second, he added, while incoming ballistic missiles have speeds of about 2,500 metres per second. “In satellite interceptions, the closing speed is 10,000 metres per second. Even with a millisecond’s delay, the satellite will be missed by 10 metres,” he added. In the case of ballistic missile, this delay will take the interceptor missile off-target by four metres. Talking about the indigenisation of defence equipment and industry, he said it was a priority for the DRDO, with 70 to 80 per cent of the content for India’s missile programmes locally-sourced. United States Strategic Command tracks the objects now. Not NORAD anymore. I am happy India has the capability. I’m really worried about starting a chain reactions of debris and junk.